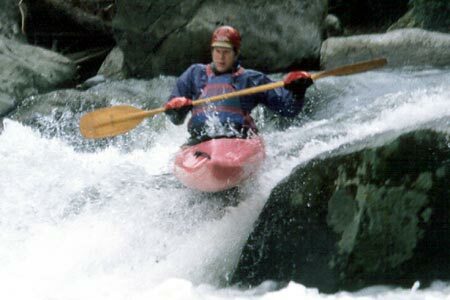 I find the top drop of Hydro the most challenging part of the rapid. The current sweeps strongly into a boulder just downstream of this image. Here Steve shows how it is done.